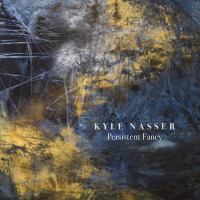 Saxophonist Kyle Nasser's background story is very interesting. Very involved in jazz from grade school through college at Harvard, he nevertheless was enrolled as an economics and political philosophy major. That is, until he heard Hank Jones give a master class and play a gig, which (making the story a bit compressed) completely changed his life's direction, convincing him that jazz was what he wanted, and needed, to do. 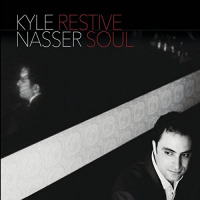 In 2010, after attending Berklee on a full scholarship for performance and education, Nasser moved to New York City. Restive Soul is the result of all of his life experience, including being "borderline obsessed with "traditional" uses of counterpoint, form, and large-scale harmonic progression" while at Berklee. He further states that he wanted to make the quintet "sound like an orchestra" rather than just one blowing solo after another. Nasser's music most definitely shows his cerebral side in that it rarely swings in the "normal" sense with the group grooving all together at the same time; rather, different players sync up briefly at different times. The melodic lines have many large intervals and exposed dissonances, shifting meters constantly displace the feel of the beat, and most importantly, phrase lengths are highly irregular most of the time. This complexity, however, does not suppress the ability of the music to tell a story. Each tune has its own vibe, with most registering on the "cool," and darker side, rather than the ecstatic (i.e. "hot") and brighter side. It is definitely late night music. One point that must be made: each musician's work must be approached on its own terms, and not rejected or criticized because of what it is not. Nasser's music is highly emotional but filtered through a compositional style which does not hide its intellectual roots. The band itself is very tight and keeps all wheels on the road with aplomb -they sound like a group and not a collection of soloists. Each track is carefully constructed while not sounding "composed" and each band member can be heard to operate within these compositional guidelines and yet sound spontaneous from moment to moment. Guitarist Jeff Miles (Nasser's roommate at Berklee) stands out for his overdriven guitar sound and many lines which act as a foil for Nasser's understatement. Those who know Loren Stillman's work might hear some things in common with Nasser as far as his sound goes (kind of hollow with soft edges) and his very slow vibrato. How the construction of his lines makes their progress seem inevitable also echoes Stillman. However, Nasser says that while he knows of Stillman, he never consciously sought to emulate him. In the end, the most telling thing about this music is that it bears repeated listens and exposes more of itself each time. The music is very satisfying if one just lets it flow. Restive Soul is an impressive debut, and we will most definitely be hearing more from Nasser, his music and his band in the future. Track Listing: For Rick B; Angelique; Restive Soul; Shadow Army; Gyorgi Goose; Radiator Lady; Trip to Lester's; Whitestone; Ecstatic Repose; Rise. Personnel: Kyle Nasser: tenor and soprano saxophones; Jeff Miles: gutar; Dov Manski: piano; Chris Van Voorst: bass; Devin Drobka: drums.